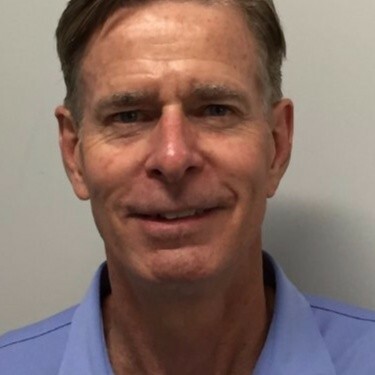 I recently attended and exhibited at HealthPack 2018, the premier industry conference analyzing trends in medical device packaging, with my fellow Outlook Group colleague, Tim Traub. 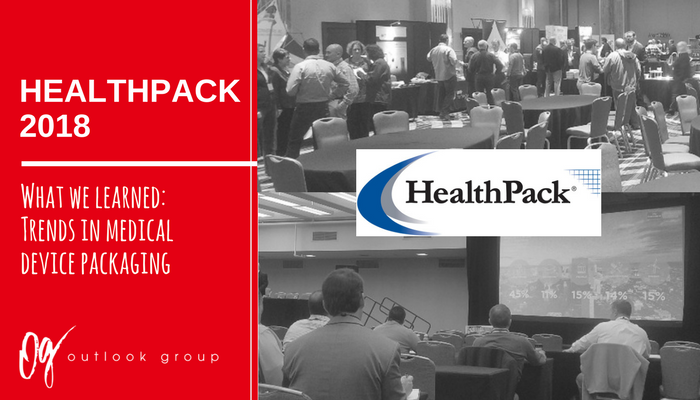 HealthPack provides an excellent forum for medical device manufacturers and suppliers alike to learn the latest information and top influencers that are driving medical device packaging forward. One of those drivers we learned about was Industry 4.0, where and how the digitization of industry impacts packaging. 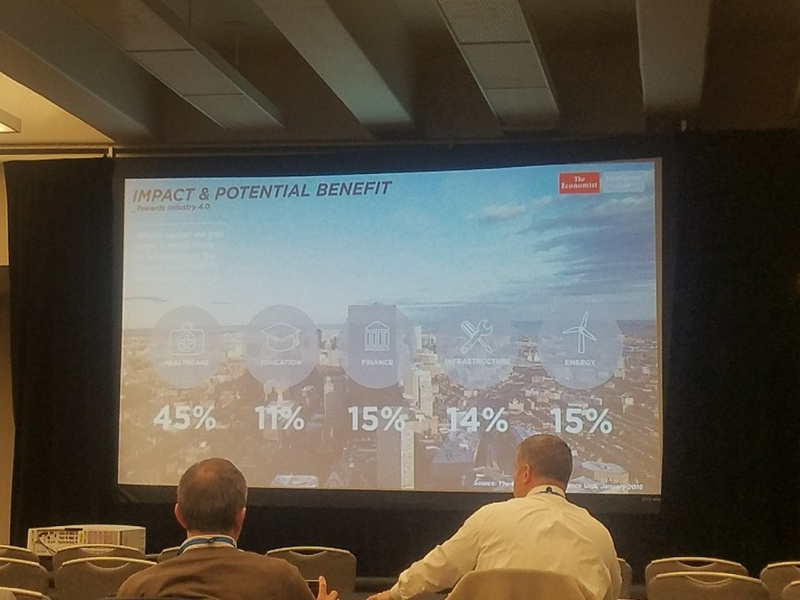 Ed Dunn, Head, Global Supply Chain Packaging Center of Excellence, Johnson & Johnson, shared how it affects the entire value chain, from packaging to customer. Its global scope will impact companies of all sizes. Data analytics has become increasingly important to align packaging operations with business goals like reduced time-to-market, global supply chain visibility, product demand management and flexibility, total landed cost, compliance and traceability for high-value medical devices. The leading message here: manufacturers that get this right will have the best chance of becoming preferred suppliers to their end users. Another driver is Smart Packaging. Dan Burgess, Packaging Engineering Fellow, Exploratory Packaging Group, Boston Scientific, shared how advances in component manufacturing techniques have reduced cost and enabled a greater range of application for RFID and related technologies. Previously seen as a benefit but too expensive or bulky, now can be incorporated without a lot of added weight or bulk. We also heard the FDA’s perspective on voluntary recalls with medical device packaging as well as deficiencies as a result of audited package processes, and trends in recent recall data for package process. The live nurses’ panel, providing valuable voice of the customer feedback, with their critique of actual medical device packaging, was particularly educational as well. 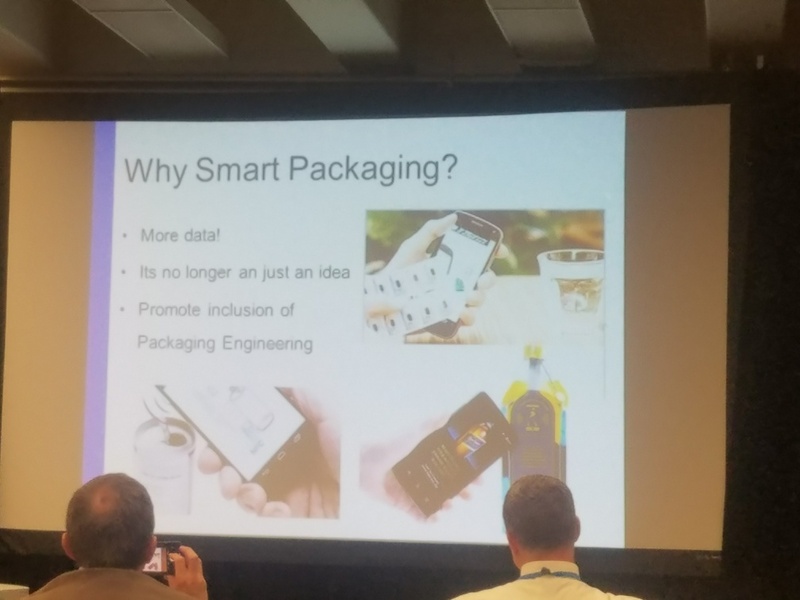 My greatest takeaway from the event is that the medical device space related to packaging is evolving rapidly. Technology, automation and real-time visibility are already key components to the success equation. Communication technology that evolves the supply chain and production lines that produce higher level of automation and digitization will be key. Connected data from every facet of the supply chain will be driving a faster and more efficient speed-to-market. Future success will hinge on smart packaging suppliers who can not only incorporate Industry 4.0, but fully embrace it to unlock its full potential. In the contract packaging world it’s so important to stay abreast of these changes and be able to apply our learnings to how we service our medical device customers. I’m looking forward to applying what I learned at HealthPack to help our customers with their digitization initiatives and to simplify their supply chains!